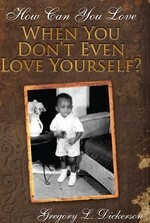 I WOULD BE SO HONORED TO HAVE YOU ALL CHECK OUT MY CURRENT BOOK, "HOW CAN YOU LOVE WHEN YOU DON'T EVEN LOVE YOURSELF?" IT'S AT AMAZON.COM, BARNES & NOBLES, AND I AM BUILDING A NEW WEBSITE. THANK YOU FOR CHECKING A BROTHER OUT! IT WILL MAKE YOU LAUGH,SMILE,CRY, AND TOUCH YOUR HEART! THE MESSAGE IS AWESOME. I WAS TRULY A DAMN FOOL, YET THE LORD SPARING ME WITH ONLY HIS GRACE AND MERCY! MR. ANDERSONS HISTORY, THAT WAS A SMOOTH AND CLEAN WHITE DUDE, AND HE KNEW HIS HISTORY ALSO. SHOOTING DICE AND PLAYING TUNK IN AUTO SHOP BATHROOM, WEARING YOUR BRAND NEW MADES FOR THAT FIRST TIME, RED BUD, THE POINT, PARTIES AT BEAN'S SPOT, MINI-SKIRTS-SHORTS-DRESSES, SCHOOL STORE-STEPPING-FRIES WITH CATSUP, RUNS TO VIENNA HOT STAND, STUDYING ALL DAY INSTEAD OF GOINING TO SCHOOL WITH YOUR LADY, OR ANYBODIES LADY! (:}) LISTENING TO HOT FUN IN THE SUMMERTIME IN THE PARK ACROSS THE STREET WITH A POCKET FULL OF MONEY, YOUR BODY FULL OF DABS AND YOU SPITTING GAME ALL DAY LONG. PLEASE UNDERSTAND THAT I FULLY AM AWARE OF THE PERILS OF MY FORMER THOUGHT PROCESS NOW! BUT DAMN, THAT WAS MY TRUE EXPERIANCE AT CrimeViolenceSex FROM 67 THRU 71. NOW I USED THAT KNOWLEDGE TO PREVENT OTHERS FROM BEING FOOLISH WITH THEIR TIME AND ENERGY. 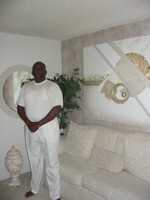 Gregory Dickerson has a birthday today.